The plate begins to melt at around 100 km when it is recycled. The molten rock is formed when the oceanic plate is soaked by the water. Can you mention some characteristics of molten rock? If you compare it with the surrounding rocks, the molten rock is less dense and hotter. Moreover, it is buoyant. When the subduction zone in the converging plates is locked, it leads into fracture. The flat line of the break which spans hundreds of kilometers can cause a megathrust earthquake. The tsunami waves are caused by the movement of the plant. A megathrust earthquake which occurred a convergent boundary triggered the Indian Ocean Tsunami in 2004. Get facts about Asian Tsunami here. Let’s find out the characteristics of convergent boundaries? The extensive earthquake activity is considered as the main characteristic. Find facts about Chile Earthquake here. One of the examples of the presence of the convergent plate boundary is located in Nazca Pacific convergent boundary in Peru and Chile. 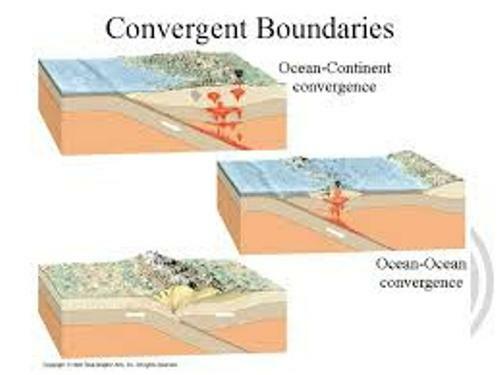 There are three primary types of convergent boundaries. 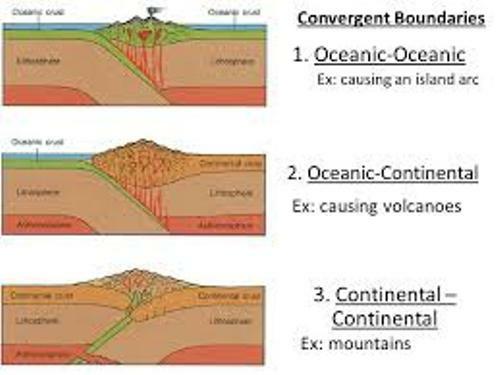 Those include continental-continental convergence, oceanic-oceanic convergence and oceanic-continental convergence. The occurrence of an oceanic-oceanic convergent plate boundary is seen when an oceanic plate sub-ducts each other. 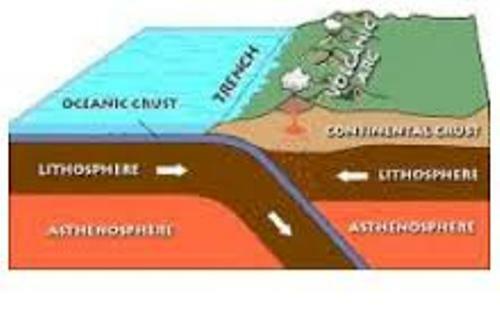 Marianas Trench is the example of the oceanic-oceanic convergent plate boundary. 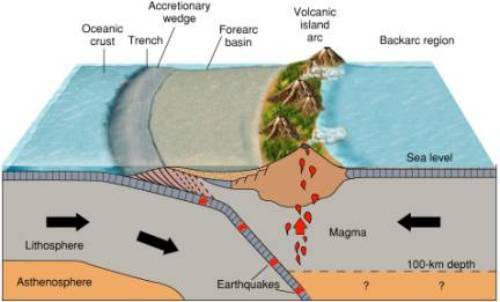 It was formed subduction because of the Philippine Plate over the Pacific plate. The formation of the Himalayan and Tibetan Plateau is a result of a continental-continental plate boundary. 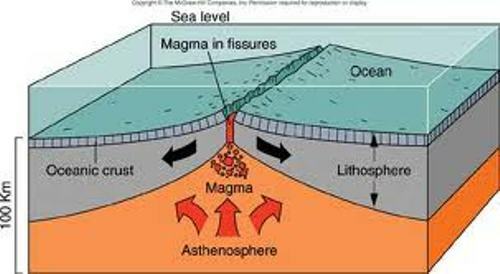 It occurs when the Indian plate was collided with the Eurasian plate. Do you have any comment on facts about convergent boundaries?